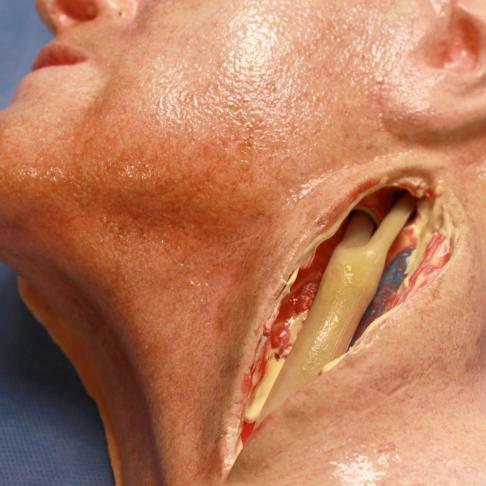 Carotid Artery with Plaque cuts, feels, sutures, and behaves like real live tissue. 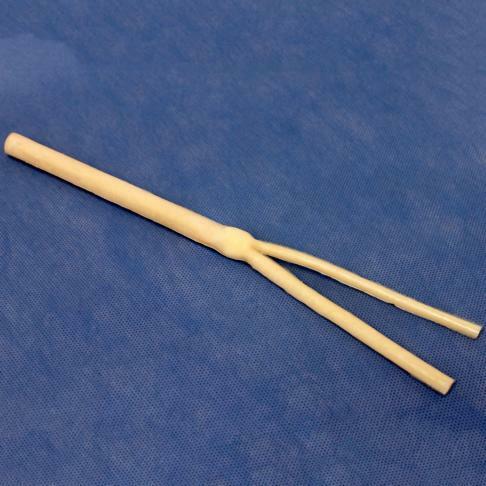 Realistic and affordable product designed for the acquisition, practice and retention of vascular surgery carotid endarterectomy skills. Easy to Dispose. Non-Toxic. Non-Latex. Carotid Endarterectomy Training access and removal of plaque and suturing at bifurcation. Vein bypass (end-to-side) anastomosis is sometimes practiced as well. Price: $72.00 – $1,353.60 (sold indivually, 10 Packs or 20 Packs).